Incorporating bright colors and fun patterns into your home can be a perfect way to prepare for the upcoming warmer weather. It also brings excitement, energy, and movement to the room and all the designers are crazy about it. 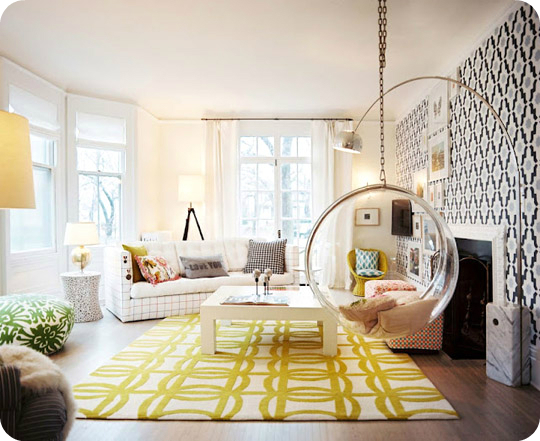 Experts say that typically, you should have at least 3 different patterns going on in one space to make it interesting. The safe way to experiment with patterns is to choose a color scheme. 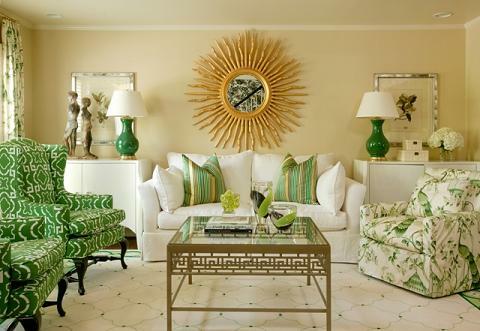 Selecting a common color palette can go a long way in coordinating patterns. Stick with similar hues to draw your eye to the color – not the varying patterns. However, this doesn’t mean all of your colors have to be the same hue. Try out multi-colored fabrics, but use a color that is similar throughout all the patterns for a cohesive look. In order to make an effect, you have to use at least three different patterns. 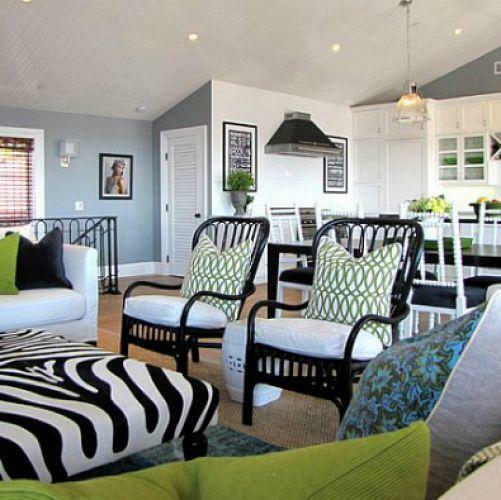 If you have too many competing patterns, it confuses the eye and can make your space seem cluttered. The successful way of mixing is to vary the patterns’ scale skillfully – from small to large. 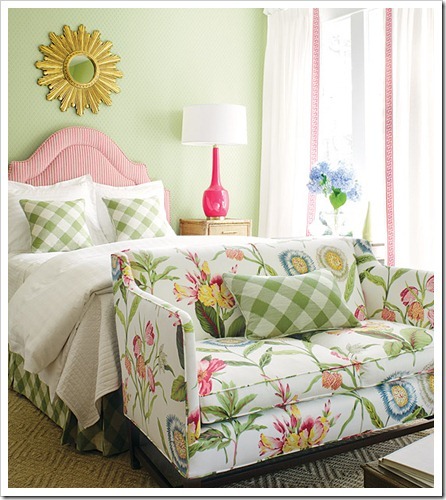 Save the large-scale pattern for the focal point of the room, such as wallpaper or patterned curtains. It’s impossible to make a mess of mixing large, medium, and small-scale patterns when you stick with a subdued palette, like the grays and yellows here. A unifying color theme keeps even florals, stripes, plaids, and geometric patterns in harmony. Fabric also plays an important role in the venture of mixing and matching the patterns. The feel of fabrics helps making the ideal mixing recipe for a pattern-loaded room. In fact, adding some textures is a very effective and nice option to enhance the patterns’ effects. The fabric “package” will almost always include a stripe or plaid, a floral and a couple of solids. Use those prepackaged coordinating prints as a learning tool to see why the mix works, then go out and make your own combination. Great tips. Mixing patterns is not something I’m good at so this was helpful. I didn’t know that about using at least 3 patterns – makes sense. Seems like there are a lot of rules of 3 in decorating.